In Term 4 the Foundation to Year 4 children all complete an intensive Swimming Program. Foundation to Year 2 students have swimming lessons every day for 8 days at Mentone Boys Grammar School. The Year 3/4 students attend Waves Leisure Centre for their swimming lessons. 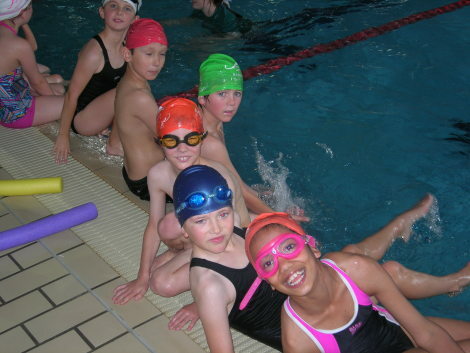 The children are put in small groups and are taught by trained swimming instructors. While some are learning to swim for the first time, others are perfecting their strokes enabling them to swim at a competitive level. Senior students (Year 5 and 6) participate in a Beach Program which is run by a local Lifesaving Club. This program provides a great opportunity for the students to practice their skills in an open water environment and participate in some fun activities with their peers.